VIAC (Vietnam International Arbitration Centre). Ben has also acted as emergency arbitrator and as sole arbitrator in expedited and fast-track proceedings and is a panel arbitrator of numerous arbitral institutions. Ben’s experience as arbitrator spans a broad range of commercial disputes, including joint venture and shareholder disputes, intellectual property and licensing, media and telecommunications, construction and infrastructure projects, energy and resources, shipping and shipbuilding, automobile and heavy machinery manufacturing, agency and distributorship agreements, military acquisition and procurement contracts, sale of goods and general commercial disputes. Ben has been appointed as arbitrator in cases seated in Bangalore, Beijing, Delhi, Geneva, Guam, Hamburg, Hanoi, Hong Kong, Kuala Lumpur, London, Manila, Maui, New York, Seoul, Singapore, Stockholm, Sydney, Taipei and Tokyo. He has heard cases governed by the laws of Australia, Austria, BVI, Cayman Islands, China, England and Wales, Fiji, France, Germany, Hong Kong, India, Indonesia, Japan, Korea, Malaysia, Mauritius, Mongolia, the Philippines, Saudi Arabia (including Sharia), Singapore, Sweden, Switzerland, Taiwan, Thailand, the United States (including New York, California and US territories) and Vietnam, as well as lex mercatoria. He has also handled complex conflict of law and jurisdictional issues, joinder applications, summary dismissal applications and disputes involving multiple contracts and applicable laws. 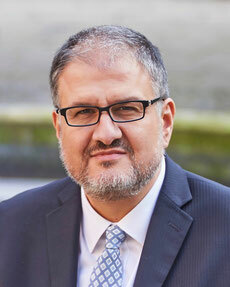 Ben has taught extensively in the field of international dispute resolution and comparative law, including as associate professor at Seoul National University Law School (2015-2019), and as a visiting professor at the University of Hong Kong Faculty of Law and the National University of Singapore Law School. He has published numerous articles on international commercial arbitration and serves on the editorial boards of the Asian International Arbitration Journal, the Korea Arbitration Review and the Journal of Korean Law. Prior to commencing his practice as an independent arbitrator, Ben was the founding co-chair of the international dispute resolution practice group at Shin & Kim, one of Korea’s oldest and largest full-service law firms. He previously practised international arbitration at Shearman & Sterling in the US and Singapore and at Kim & Chang in Seoul. Ben was educated in both the civil law and the common law traditions, having studied first at Seoul National University College of Law (all coursework in Korean), and then at NYU School of Law. While at NYU, he spent one semester at the University of Palermo Law School in Buenos Aires, Argentina (all coursework in Spanish). He also studied Chinese (Mandarin) and East Asian history at Harvard University. He is a fellow of the Chartered Institute of Arbitrators, the Hong Kong Institute of Arbitrators and the Singapore Institute of Arbitrators.